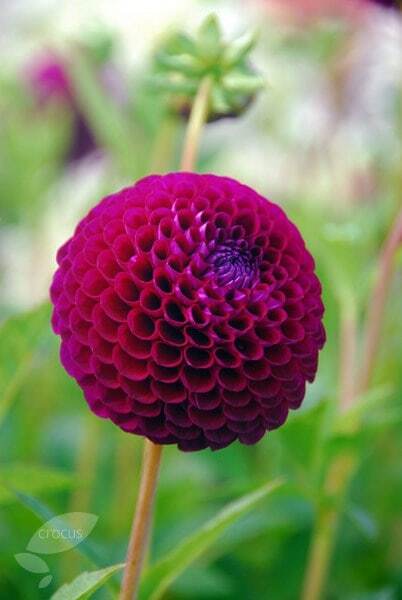 For several months from midsummer, the upright stems of this striking dahlia are topped with miniature ball-shaped, magenta flowers, which are wonderful for adding a strong contrast to softer pinks and purples. Very pleased with quality of plants ordered. Tubers planted and grew well, lots of flowers all season, didn't quite achieve a ball shape. Very nice though. Tubers are now lifted for next year. This dahlia is very attractive and fits in well with my summer garden colour scheme but is very slug-prone and needs appropriate protection. Plenty of whiz and bang! A real stunner for its multiple blooms. It lasted well into autumn with a lovely display of small pom pom blooms. Deep colour that didn't fade until the 1st frosts.